The origin of Easter baskets varies, but it’s typically agreed that it stems from a version of the beginning of spring, and a new harvest. In Christian tradition, the end of Lent means that sacrifices made during that time can now be rewarded. Whether you celebrate because of religion or culture, the tradition of Easter baskets is an important part of the holiday. With rates of childhood obesity on the rise, we’re all thinking about how to make small changes that impact the health and futures of our children. When it comes to sugar indulgence, Easter is second only to Halloween for many children and families. How can we keep the tradition while being mindful and thoughtful about our families’ health? Making your own versions of popular candies and sweets might be easier than you think. When you make something yourself, you have control over the ingredients. Commercial treats often use cheap fillers like corn syrup. By making them yourself, you can be sure that your loved ones are only eating wholesome ingredients. This recipe is not a great one to make with children, but the results are delicious and a much, much healthier option than the jaw-achingly-sweet commercial Peeps. Fruit leather is a great way to add sweetness to your snacking without resorting to loads of refined sugar and fat. Make these extra-special and holiday-specific with cookie cutters and your favorite seasonal fruits. There’s no reason Easter baskets have to be filled with sugar. In fact, there’s no reason they have to be filled with candy or food at all! Switch it up and fill baskets with fun toys, games or other non-edible treats that kids will love! Jump ropes, Sidewalk Chalk, Etc. Spring is right around the corner. Provide toys and activities that encourage kids to get outside and move, or at least enjoy the sunshine and fresh air. Books, Mad Libs, Puzzles, Etc. Whether it’s a great book or a challenging puzzle, why not use Easter as an opportunity to encourage kids to flex their mental muscles and step away from the screens that likely dominated their winter activities? Coloring Books, Crayons, Art Kits, Etc. Spring is a wonderful time of creative inspiration. 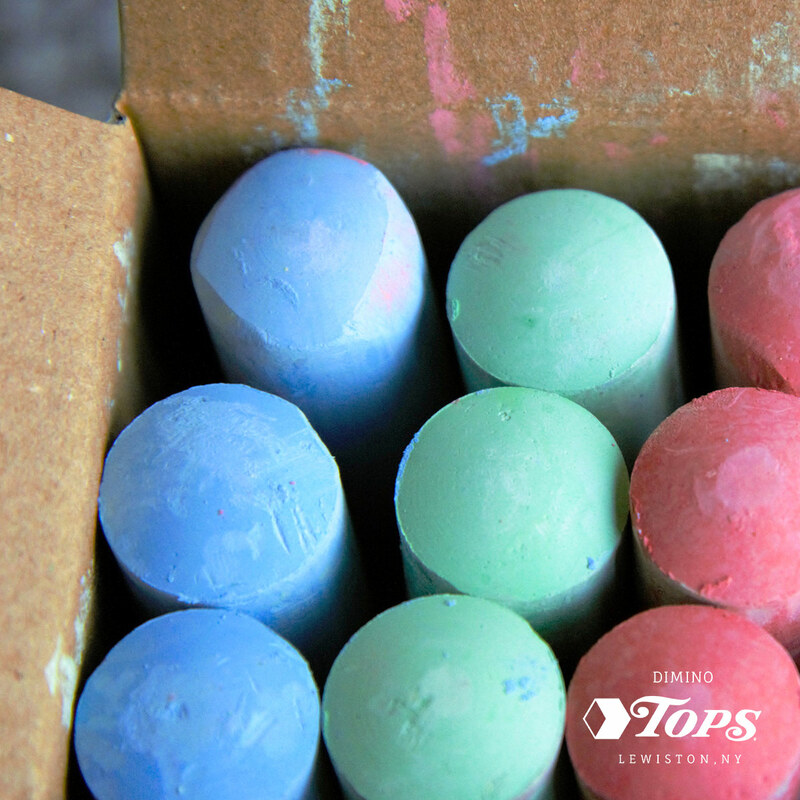 Foster that with arts and crafts supplies that let kids express themselves and explore their creative sides! There are tons of ways to take Easter baskets from a sugar-filled frenzy to a healthy, fun basket of opportunity. From everyone here at Dimino Tops Lewiston, Happy Easter! What are your favorite Easter basket treats? Tell us on Facebook!